Two Bull Northern Elephant Seals (Mirounga angustirostris) face off before fighting in the middle of the extensive Piedras Blancas rookery along the California coast. The majority of the seals you see are nursing or pregnant females. 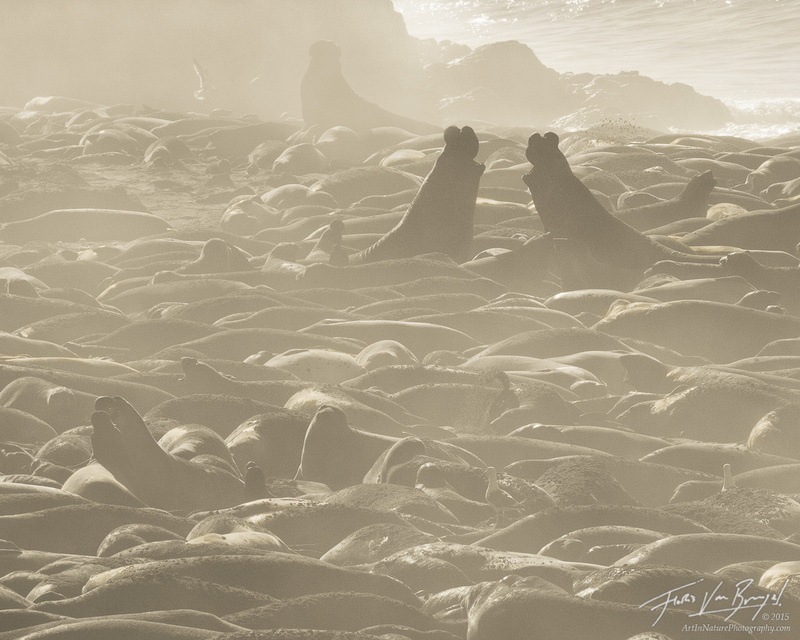 There are over 150 seals in this picture (I did my best to count them), and this was just a tiny portion of the beach!